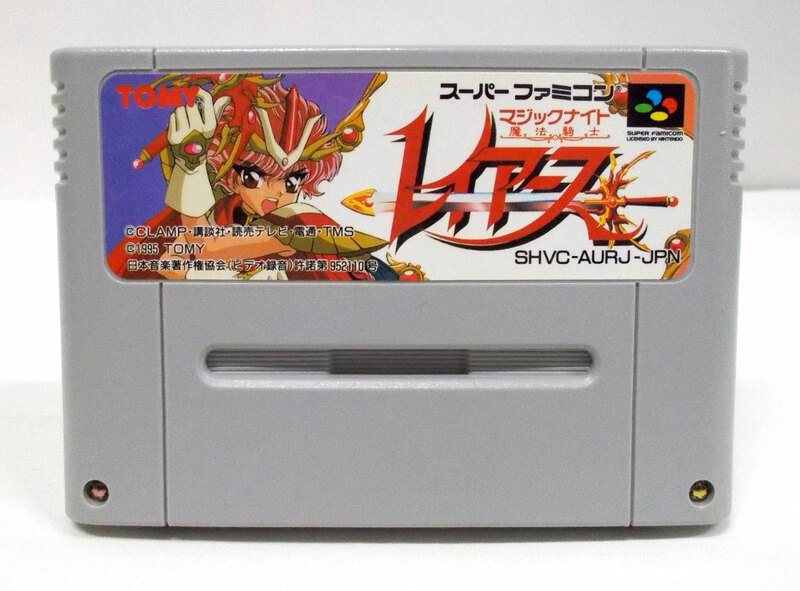 Magic Knight Rayearth was released on the Super Famicon in Japan in September of 1995. It was developed by Pandora Box and published by Tomy. 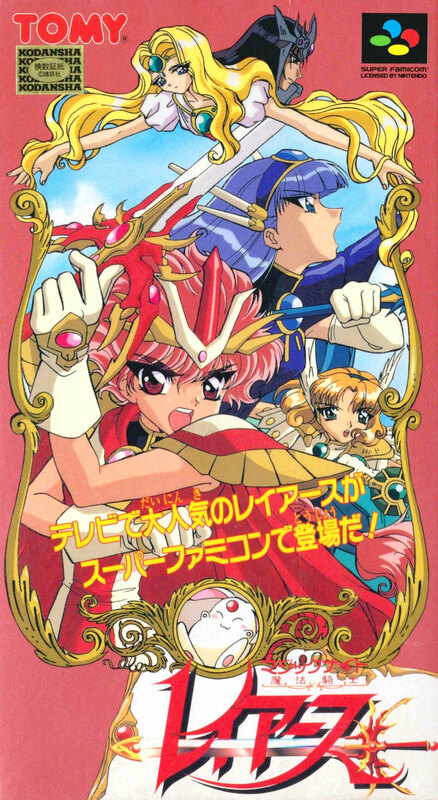 Although Magic Knight Rayearth never left Japan, in March of 1999 it unofficially became available in English. This is thanks to the efforts by LNF Translations and RPGe. 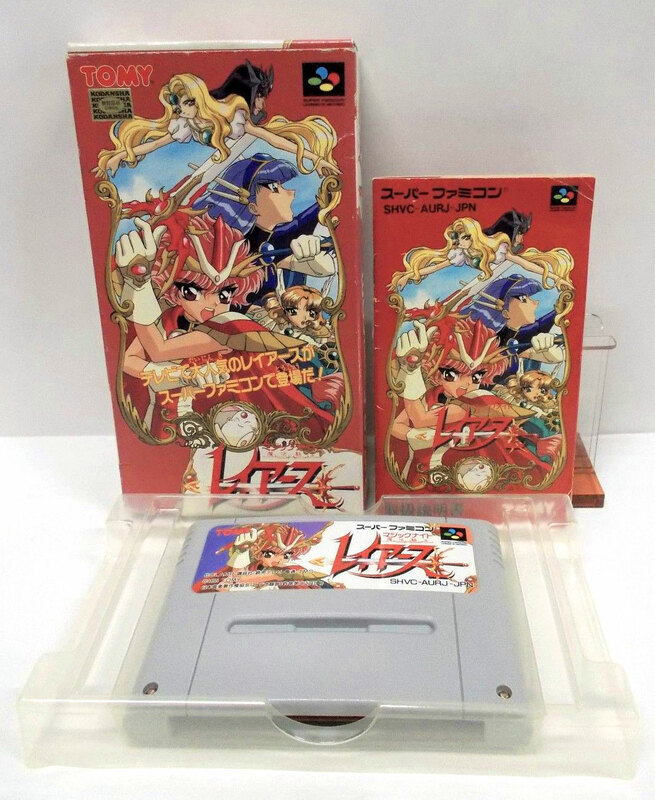 It was the second Super Nintendo RPG ever to be fan translated! I talk more about the history of the game's fan translation in a dedicated page. This game is based on the popular TV series of the Magic Knight Rayearth anime. It follows every major event in the anime. The character portraits closely resemble the real anime characters. In the anime, characters would regularly turn chibi (short and chubby) to make moments of humor cuter. These chibi characters are present in various screens in this game. Among other references, the game resembles the anime regularly. As significant as Final Fantasy VII? What's that, I'm comparing Magic Knight Rayearth to Final Fantasy VII? Yes, I am. I'll explain. Back in 1999 when its English translation was released, the very concept of a fan translation hadn't fully circled the Internet yet. It was later in the early 2000s that fan translations would become widely known and wildly popular. You may look at Magic Knight Rayearth now and think “Meh, it doesn’t look like anything special.” But the novelty of playing a fan translated game like this back then was like playing Final Fantasy VII for the first time! The high was even more intense for people who were a fan of the anime. There's not much to say about the battle system. As a traditional turn-based RPG, the game is exactly what you'd expect it to be. The battle encounter rate is fairly high. The weapons and armor of the Magic Knights level up on their own, so there's no need to buy new equipment. Fallen allies automatically resurrect with 1 HP after battle. Hikaru and Umi learn a good amount of single/multiple offensive spells. Fuu is the only one who learns cure spells. Each Magic Knight learns a nifty protective spell that cuts damage in half. There are a few moments in the game when a character temporarily joins your battle party. Later in the game when you gain the Rune Gods, they can be summoned in battle like a summon in Final Fantasy. Magic Knight Rayearth is such a cute game. With its bright and colorful graphics, playing it is like diving into a box of crayons. The sprites are cute; Hikaru even has her cat ears pop out like she does in the anime. The character portraits are on point! They look exactly like the real anime characters. I especially appreciate that the Magic Knights have happy and angry facial expressions with their portraits. The soundtrack has a few good tracks. Zagato's theme is my favorite. The game is very easy. There's virtually no challenge. The Magic Knights gain a level practically every battle. Money is rather superfluous since armor and weapons level up automatically, and you pick up plenty of items in chests. Scattered throughout every area are stars that (infinitely) fully restore your HP/MP. The only thing hard about this game is actually losing! However, in the downloads I also offer a hard version of the game. It increases the game's difficulty to that sweet spot where it's still fun, but not frustrating. So would I recommend the Magic Knight Rayearth? I would recommend it if you're a fan of the anime. Without being driven by nostalgia, if you tried playing the game now you will think it's terrible. As for me, the game is a dear favorite. I first played it in the early 2000s back when fan translations were a novelty. I still listen to the soundtrack sometimes. Plus I'm a huge fan of the anime. Magic Knight Rayearth could've been a far greater game. It was released the same year as Chrono Trigger and Seiken Densetsu 3! 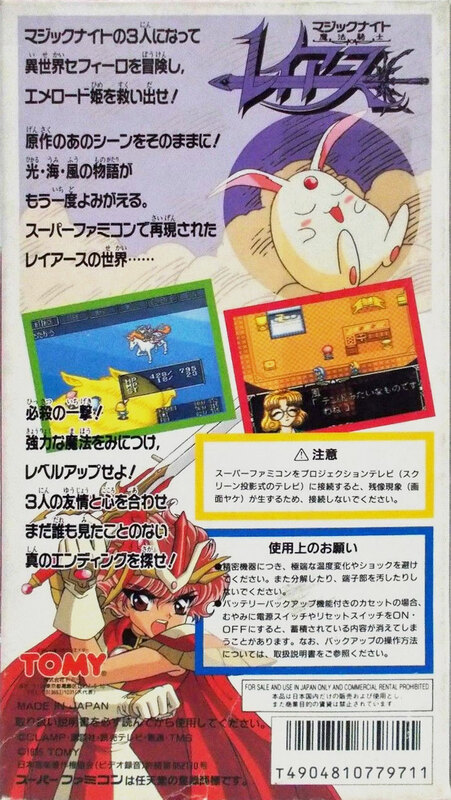 What happened that resulted in Magic Knight Rayearth looking like an early Super Nintendo RPG? It's even more embarrassing when you consider that the superb Saturn version of Magic Knight Rayearth was also released the same year. It feels like the Super Nintendo version was just a half-assed cash grab. I do appreciate, though, that the creators made an effort to make the game more visually impressive by adding a few cut scenes. When the Magic Knights gain magic, they show pictures of them transforming, which closely resemble screenshots from the anime. That's a neat feature you don't see very often in Super Nintendo RPGs. If they exploited the anime cut scenes more, that would've made the game more competitive against other RPGs.